Large fleets have generally been most able to afford the cost of vehicle tracking and turn it into an overall cost advantage. Medium and small sized, fleets, however, could not always make that choice and have it be economical. The high cost of equipment, infrastructure, and monthly fees makes traditional vehicle tracking a difficult proposition for all but the largest of fleets. Before you can determine if vehicle tracking is worth the cost for your own fleet operations, let’s first touch on the basic benefits that can be realized with a good system. Less driver downtime – Knowing the location of every vehicle and driver means that emergent work and needs can be routed to available personnel quickly and more easily. 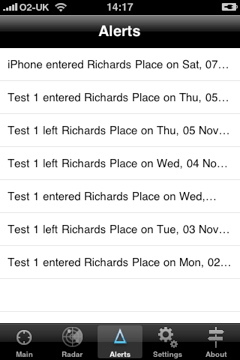 This prevents drivers from spending extended periods of time waiting for dispatch or direction. Better customer service – You are better able to serve your customers promptly and efficiently when vehicle locations can be determined quickly and easily. Thus when a new customer call or request comes in the appropriate vehicle can be dispatched right away. Field replenishment – When vehicles in the field run low on supplies or other necessary items, a good tracking system allows delivery and restocking out in the field instead of requiring the vehicle to return to base for more materials. Effective supervision – Fleet managers and supervisors will almost always say that they can do their jobs most effectively when they are out in the field with their drivers, rather than in the office or at a desk. Good vehicle tracking allows managers and supervisors to spend more time out in the field where they are most needed. monthly subscription fees and other hidden fees. The newest innovation in vehicle tracking, however, is much less expensive and brings this potentially beneficial technology within reach of even the smallest of fleets. This technology uses smartphones or portable gps tracking devices which don’t require installation and can be monitored using a web-based interface or smartphone application allowing fleet operators to monitor and track their vehicles simply and efficiently without a large upfront outlay. Anybody considering a vehicle tracking system would be well advised to research both traditional and new options, and do a direct comparison of costs, features and benefits. In most cases, it is likely that the newer technology will end up being the most cost effective solution. 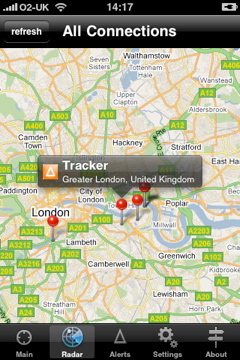 Find out more about AutoAlert GPS Vehicle Tracking. 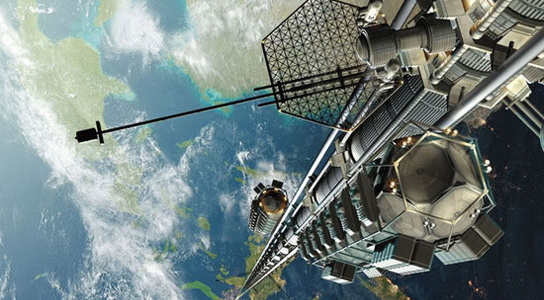 A recent report suggests that Japanese engineers, led by Dr. Oyayashi, are working on high rise plans to build a lift into outer space. 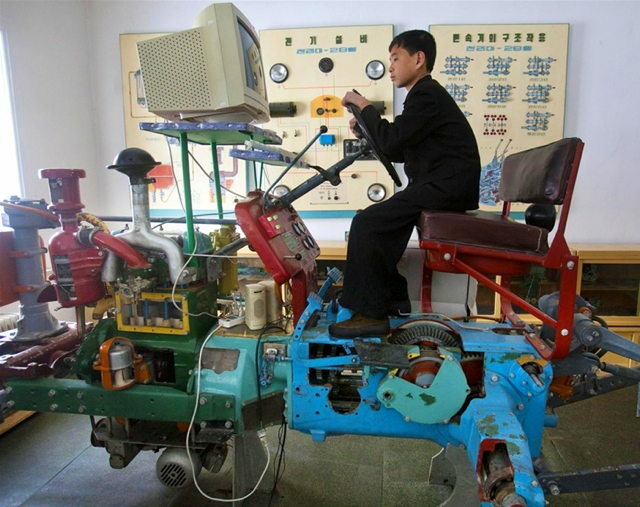 Now that really is a global positioning system…and certainly a smidgen more advanced than a TomTom. I’m not sure this is such a good idea. The assumption is that around 30 passengers at a time can travel in the lift for a cool 22,000 mile journey at an elegant speed of 120mph and this will take a week to complete. Now, a week may be a long time in politics but it’s going to be one awfully long week in a lift. Being stuck in a car for a few hours, even with GPS, is bad enough. And I don’t suppose there’ll be many stops en route to let people out and welcome new ones in. The idea is that once they arrive ‘at the top’ they will step out into some kind of space station. They can then admire the spectacular post card views just like any discerning tourist. So in other words, an aerial view of earth and its surroundings – as far as the eye can see, I guess. Dr. Oyayashi hasn’t made it clear what else these space tourists will do after staring into space to admire the view. Will there be post cards on sale? If so, will you be able to send them back down to earth on a lift ahead of your returning lift? Given that there won’t be much for you to do in space on a space station, I imagine within 10 minutes, you’ll be bored by the view; you will then be stepping back onto the lift for the week long downward descent back to Earth. Doors opening, mind the gap. The other slight niggle I have is that the atmosphere in most lift journeys can be decidedly awkward. Conversation grinds to a halt and woe betide anyone who attempts to chat to their neighbour. Most people stand rigidly tense, desperately trying to avoid glances. Sometimes, admittedly, it’s difficult to stop yourself from goo-gooing at the baby in the pram who’s staring straight at you as if you are a monster from outer space. So you try to watch in dignified silence as the numbers go up or down and you reach your level. How will you do that with Ground floor….22,000 miles…top floor? There’s going to be a long, claustrophobic bit in between…and probably not many babies. And supposing the lift gets stuck somewhere midway? Will there be stairs in place beside the lift shaft and how good will the access be? How long is it going to take the repair man to arrive? Oh, and what will people do for refreshments, laundry and washing facilities on the way up, or down? To allow for the possibility of getting lost in space, will it be equipped with a SatNav or GPS device? I, for one, won’t be offering to be called out to fit one. I’d rather admire the unspectacular view of London skyscrapers from the office window. Who on earth will be racing to get tickets for this lift to nowhere? 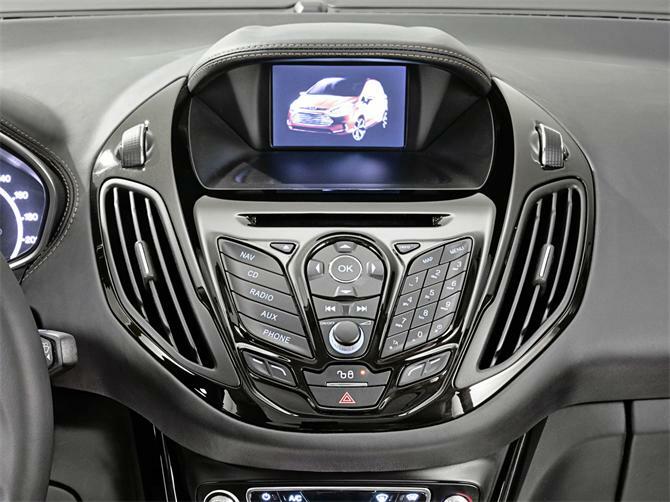 There’s nothing like modern-day convenience, such as GPS, when it comes to motoring. And there’s nothing like the Isle of Man, to be the original brainstorm behind some little big thinking. Hooray for the Manx (though you might need a Sat Nav to find them). What with Fairies under the bridge that every passing motorist absolutely has to say ‘hello’ to, or risk bad luck, they certainly know a thing or two about manufacturing. Where else can you go to see the largest working waterwheel in the world or watch one of the few remaining skilled Manx hand-loom weavers? Now let’s talk Peel. This is the place on the westerly tip of the Isle of Man where sunsets are just plain glorious as the sun sinks below Ireland, just a hop across the sea. Well, the Peel Car could be the big thing. This car is the born again version of a quintessentially British classic that was made on the Isle of Man between 1962-1965. It has more pulling power than a Ferrari but as only 50 were produced, it never got far beyond the grid. This little cutie is just big enough to take all the fairies in one bridge hop; it could also take you straight from the road right up to your desk, via the office canteen of course, for a quick coffee stop on the way. It is being re-manufactured as the P50 Peel Car by two enthusiastic entrepreneurs who recently won backing by Dragon’s Den investor, James Caan. Yes, this could see the boss installing no parking signs by the lift. You cruise in through the door, fresh from the road, a straight line to the lifts, out onto the carpet tiles; by passing the water cooler, off you go, steady along the corridor. Oops, watch the girl from accounts doing a spot of photo-copying, best give her a quick blow on the horn. Toot, toot. It’s the world’s smallest production car and you can do a quick 3 point manoeuvre and park it right beside your desk. Drive out into the traffic after work and you’re sure to be in the centre lane of attention. However, whilst you can drive from London to Bristol on just 1 gallon of petrol, you won’t be allowed on the motorway. 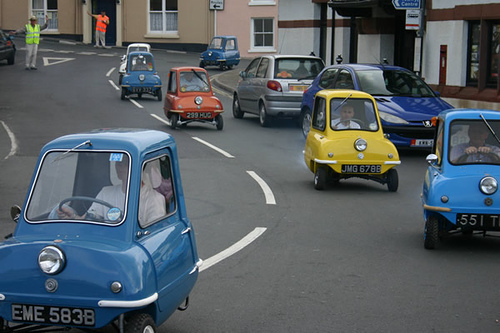 A limited edition is being planned before the go ahead is given to produce a practical everyday motor micro car which would be hand-built in Britain; what a snip at just £15k each or more than £100,000k for an original in mint condition. Get out the SatNav, P50 Peel Car drivers, and if it doesn’t drive you round the bend, make sure it doesn’t drive you into a large puddle. Come to think about it, the boss might need a good tracking device too, to send him alerts of exactly where you are located, if you get lost…in the office. 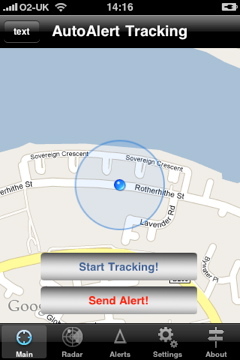 Find out more about AutoAlert GPS Tracking, and how it could benefit your business. I know I’ve been banging on a fair bit about the electric car hoo, haa but this latest really bites the bullet. 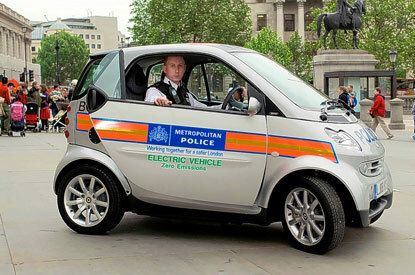 The cops have taken charge of a ‘PC plug’ electric panda car with no carbon emissions. Not much hope then of chasing road ragers. In fact, the criminal underworld must be feeling quite happy go lucky, an easy getaway is looking likely. Though clearly enamoured of electric gadgets (like flashing blue lights and GPS), this is turning a bit fuzzy. I mean supposing the panda patrol car jumps the lights, zooms off, ready for a straightforward handcuff job and ah, what bad luck, the thing begins stuttering to a bit of a stop. Mmm, seems like the charge has run low, oops. Not exactly the stuff of crime novels, more like a Carry on Charging movie – or not, as the case may be. Still, the Scots – and they’re a canny lot – have really taken this one on board and have their foot on the pedal. The force north of the border are taking things seriously and it’s one way driving down this road of eco friendly power, could be a long and winding one though. In fact, the Scots have unveiled an ‘electric panda’ that will become Scotland’s first fully-operational battery powered police car. As part of their strategy to reduce carbon emissions, Lothian and Borders Police have replaced a standard police patrol car with Scotland’s first fully-operational battery powered police car. This signals a great eco friendly manouvre and might offer a smooth and comfortable ride but most of us would probably feel a lot safer knowing it can outperform on the high speed chase. And that’s not all: plans are underway to add more of the carbon neutral vehicles to more fleets in the near future. I hope they’ve got GPS systems installed on these, imagine the furore if they went missing. Anyway, should we south of the border people go full throttle and pursue them? Let’s face it, we’ve tried that in the course of history and it hasn’t worked. Dave Kennan, fleet manager for Lothian and Borders Police, described the new car as ‘a step in the right direction’. Let’s hope he’s right and the crime busters carry on charging. Find out more about all the features that AutoAlert offers to help you reduce your costs. As the latest discrimination debate hots up on obese people and airline seating, it seems that the automobile industry have jumped in and tipped the scales the other way. 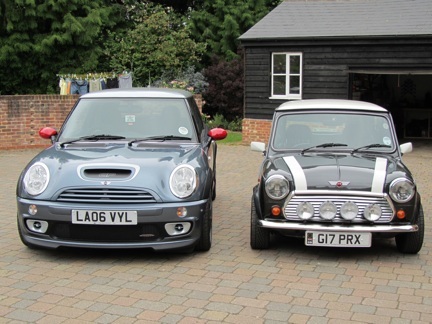 Interestingly, over the last 60 years, typical family saloons have grown in width by more than a foot. Now, this could well be a response to the end of post war rationing in the 50’s. After all, with food in plentiful supply after all those years of austerity, I guess most people felt utter joy in being able to eat well, without such restriction. Now there could be a more modern dilemma: as every GPS unit can quickly point us in the direction of the nearest restaurant, there are fewer reasons not to stop for a mid-journey snack. The problem of car seat width is still a growing problem. The demand for bigger and more spacious vehicles is booming yet we can hardly start widening roads and car parking spaces. Well, innovative designers are busy stretching their imaginations. As obesity has reached record levels and shows no sign of slowing down, how are all these fat people going to fit behind the wheel? A good question. Should we tell them all to eat less, preserve their health and if they want to drive a car, slim down? Some might find this a little patronising. Imagine being stopped by the police, ‘Excuse me madam or mister, you look a little too fat to be driving that car.’ You’re told to have a weigh in at the side of the road. A tape measure is whisked out faster than a breathalyser, wound unceremoniously around chunky thighs and large bottoms and after much tut, tutting, you’re given a caution. No, Wait! A penalty and your licence whisked away until you’ve slimmed down. As almost half of British men, and four in ten women, could be obese by 2030, according to The Lancet, car manufacturers are naturally keen to keep their larger customers in the style size to which they have become used to. Ok, but how will slim people fit into a wider seat, it could feel a bit spacious. So, the challenge for the designers in producing the next generation of cars, is to find new ways to accommodate increasing girth into the vehicles, without impacting on car width and safety. A big problem. I mean, according to BMW, this stretches more than just the imagination. The company recently conducted a study to see how obesity affects mobility while driving; well, the results affect just about everything from the size and spacing of the pedals to the width of the door opening and strengthening grab handles above the doors. As Ralf Kaiser, a member of BMW’s ergonomics team, told The Sunday Times: ‘People are getting more obese and we want to find out how that limits their range of motion and how our vehicles can adapt to the changing needs of our customers.’ Even parking control is impacted if fat people find it difficult to turn 140 degrees to look behind them. Is this yet another area in which technology will need to step in to provide a solution? Will automatic parking sensors, along with ultra accurate global positioning system technology will mean that manual parking will soon be a thing of the past? It’s quite a plump question, to widen car seating or not? It’s clearly an issue needing scientific thought…because if statistics are right, this could affect 95% of the driving population, both for the slim, and the not so slim.